Updates to Harriet Y. 's profile since your last visit are highlighted in yellow. Military Service? If so, Branch, How many years and Where serviced? Served in the U.S. Air Force. After receiving my BS in Social Psychology became the Veteran Representative for 2 counties for The Department of Commerce. Have traveled to Russia, Turkey, Mexico, Panama and around the U.S. Now reside in the beautiful state of Maine. Planning trips to Canada, Nova Scotia!!! Harriet Y. Griffin has a birthday today. New comment added. Harriet Y. Griffin posted a message. I don't know if you remember me? My family and I lived down the street from you. I was friends with your sister Janet. Happy Birthday!! Harriet Y. Griffin updated her profile. View. 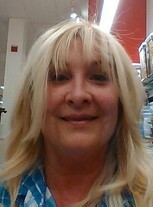 Harriet Y. Griffin changed her "Now" picture. Harriet Y. Griffin added a photo to her profile gallery. Harriet Y. Griffin has a birthday today. Harriet Y. Griffin added a comment on her Profile. Harriet Y. Griffin posted a message. New comment added. Betty, your story is so sad...but what I have come to acknowledge is that the things we endure and recover from are the very thing that make us stronger. My best to you and never give up!! Harriet Y. Griffin changed her profile picture. 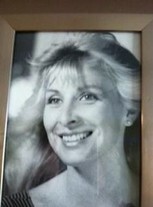 Harriet Y. Griffin changed her "Then" picture. New comment added. Harriet Y. Griffin posted a message on Dr. Edward ('65-'83) Vest - VPrincipal's Profile. My deepest condolences to you and your family! I am not sure why you look so familiar to me? I know we went to school together. Do yo remember Lucy Shopes?